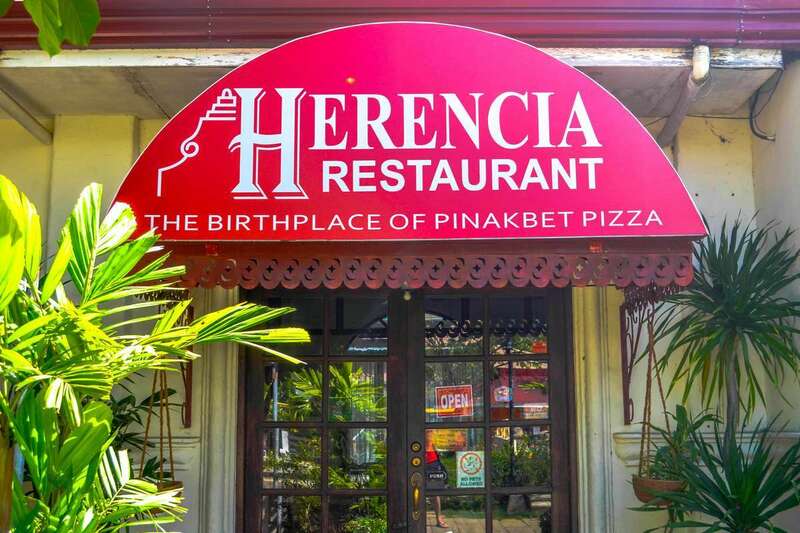 Herencia Restaurant, located in front of Paoay Church, prides itself as the birthplace of Pinakbet Pizza. I met Eric Juan, the owner. 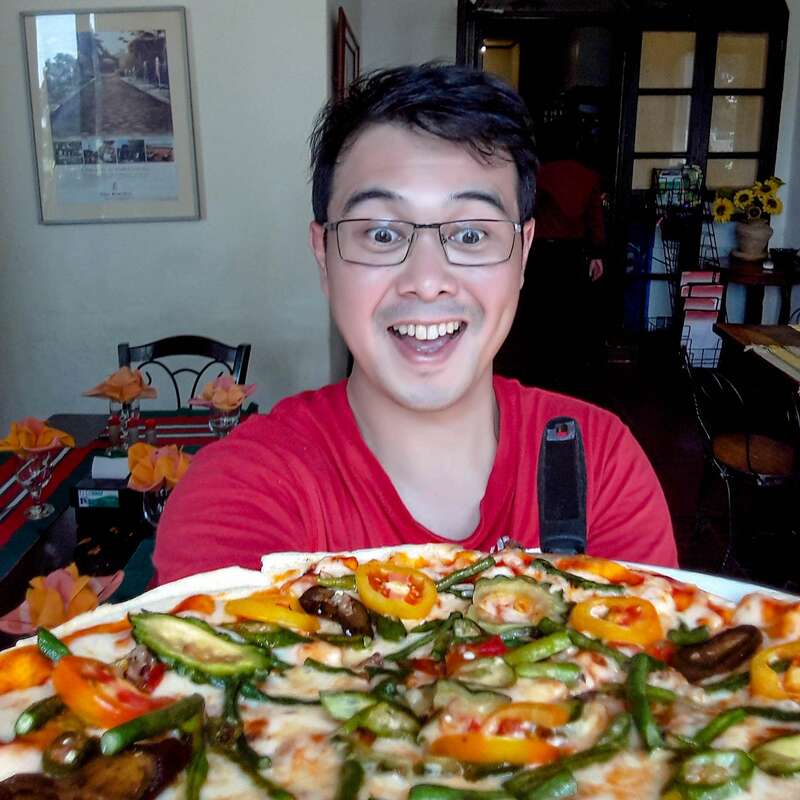 He was all smiles while he recounted how he and his partners started this Pinakbet Pizza that became phenomenal… so famous that other restaurants copied it. Hmmm… famous huh? It must mean it’s edible. 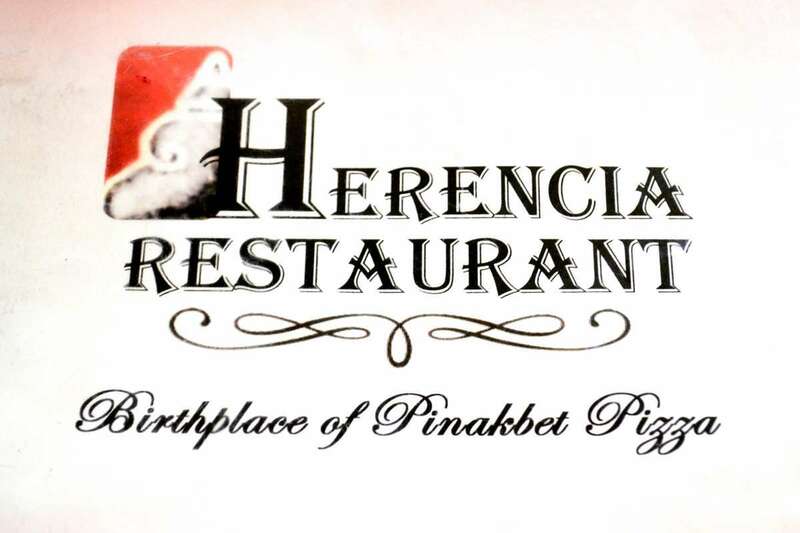 Pinakbet is an Ilocano dish using basic vegetables cooked with bagoong. 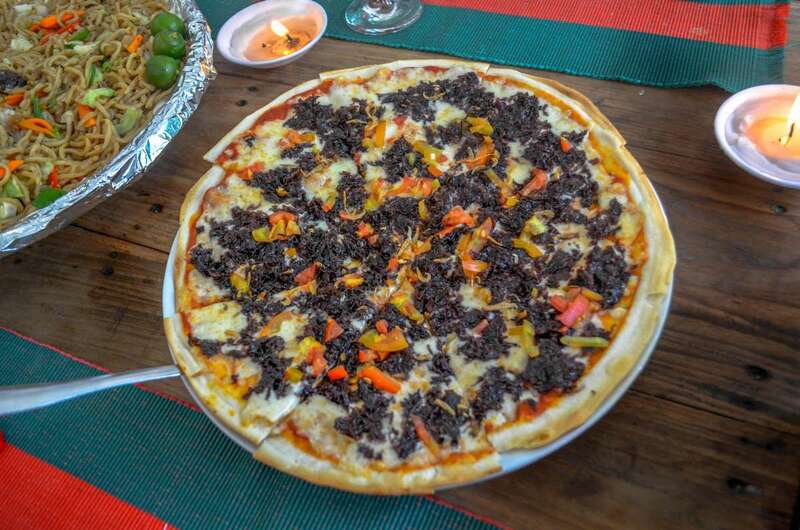 Now imagine this on top of your pizza dough with cheese and smothered with bagoong isda (fermented fish sauce). Eww right? So I got a slice, had a spoonfull of bagoong and put it on top as replacement for the usual hot sauce or ketchup I put on pizza. Everything was in slow motion but the moment I took that first bite, I became a believer! Whoa! It was delicious. Amazing how that vegetable dish and bagoong went perfectly well with cheese! The cheese made the vegetables taste all creamy and the bagoong was just like the good ol’ anchovies we have with Italian dishes. 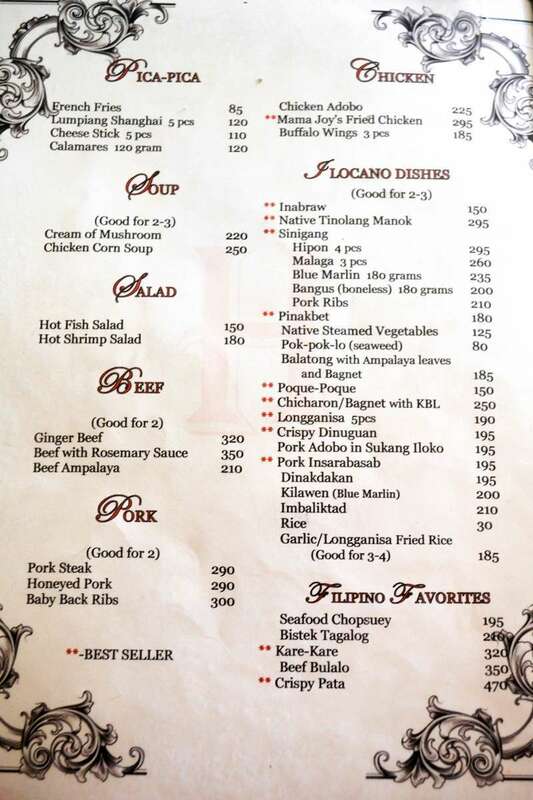 A definite must-try. 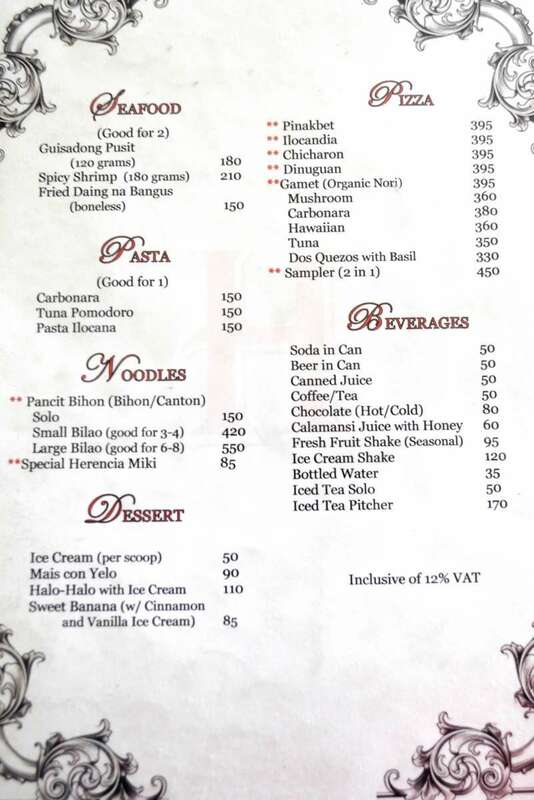 But that’s not all they also serve the Chicharon Pizza (a.k.a. 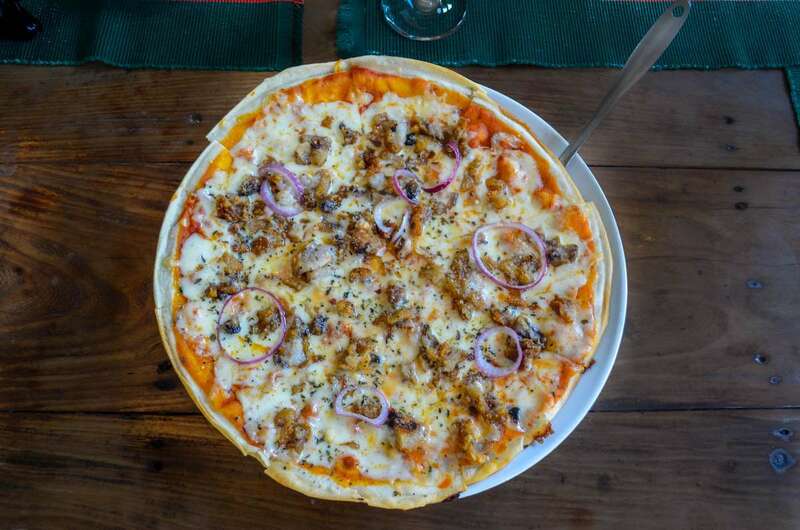 Bagnet Pizza) with crispy pork bits on top. 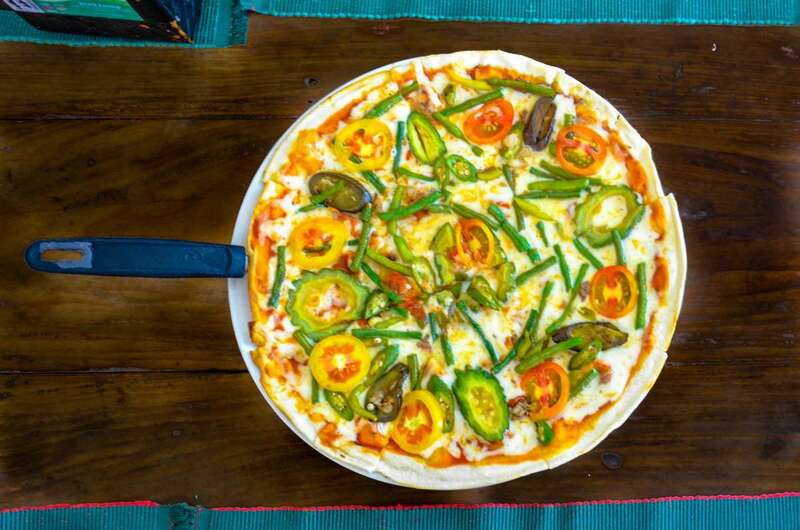 Or you can try their Gamet Pizza. That’s Pizza with seaweeds. 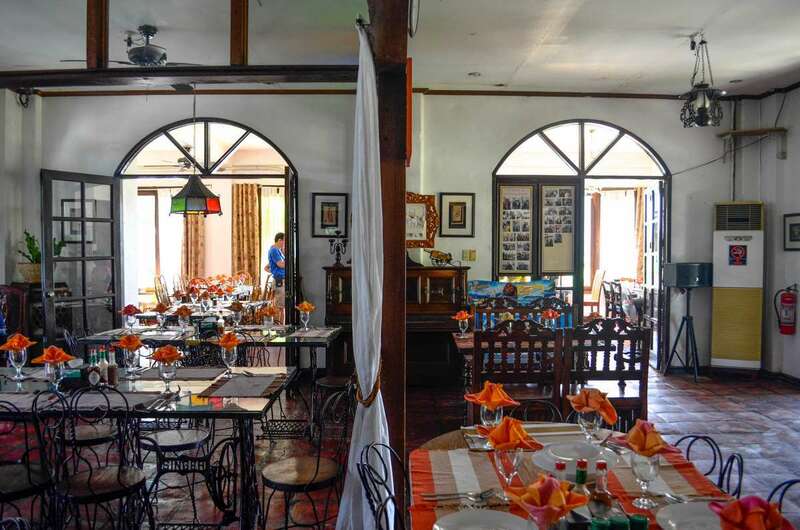 Expect traditional and reinvented Ilocano dishes in their menu.